Located in District 7, Lap Phuc Company specializes in precision moulds. It used to be just a family-run mechanical workshop. Thanks to the financial support of HCMC’s stimulation program, Lap Phuc has expanded its production scale. Recently, it has invested millions of USD in European machines and technology to meet the strict requirements of major global companies. Lap Phuc Company is making precision moulds for businesses from Japan, France, and the US, earning 8.6 million USD in revenue, contributing 430,000 USD to the state budget each year, and generating more than 300 jobs. It is leading HCMC in applying high-tech in the area of auto mechanics and has cooperated with 12 major universities in the city to train personnel for the mechanic sector. Lap Phuc has invested more than 5 million USD in a 10-storey building to manufacture medical equipment for domestic supply and exports. Many other private companies in HCMC have constantly improved products and applied science and technology to increase competitiveness. They have greatly contributed to the city’s economic development, social welfare and budget, and generated jobs for hundreds of workers. Of the one hundred outstanding businesses which have recently been honored, 40 of them gained turnover of more than 43 million USD. Most of them are private companies. For years HCMC has considered private businesses an important driver for the local socio-economic development. It has advanced many policies to support the private sector under which each enterprise can borrow a maximum of 8.6 million USD from the government stimulus program and will be supported in the loan interest rate for 7 years. As a result, many private companies have expanded workshops, invested in new technologies, and reduced costs. 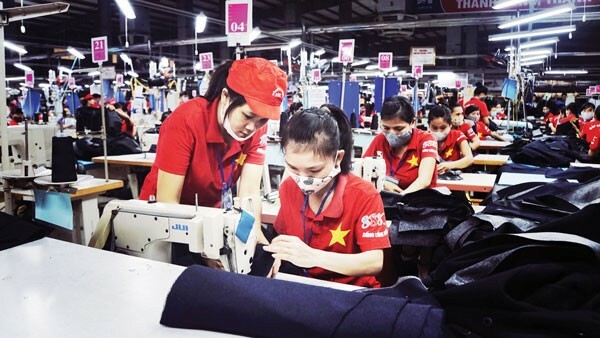 Pham Thanh Kien, Director of the municipal Industry and Trade Department, said that programs to support small and medium-sized enterprises in production, trade promotion, and brand building have been devised. Chu Tien Dung, Chairman of the HCMC Business Association, said the administration has stepped up administrative reforms to create better conditions for private businesses. “It’s necessary to continue to reduce unnecessary administrative procedures, apply industry 4.0 to increase online interaction with the municipal administration in lieu of face to face meetings. What enterprises want now is a more transparent and objective environment,” said Dung.